Let your Cub and Boy Scouts experience everything the Zoo has to offer while earning badges at the same time. We offer a number of programs and special workshops for Scouts of all ages. Cub Scouts will participate in classroom activities, games, and a wildlife hike through the Zoo as they complete their Cub Scout requirements. Each boy will receive a certificate after the completing the program. Badges are not available at the Zoo. Earn one of several merit badges through hands-on learning activities, games and a wildlife trek through the Zoo, with each program tailored to meet the specific requirements of the badge your troop is trying to earn. Your troop can choose from a number of badge paths, including Reptile and Amphibian Study, Mammal Study, Bird Study, Insect Study, and Nature. Cost: $15 per person, minimum of 10 people required (includes Scouts and adults). Price includes Zoo admission and choice of program. One adult per five Scouts is free. Only Scouts and chaperones may attend the program. 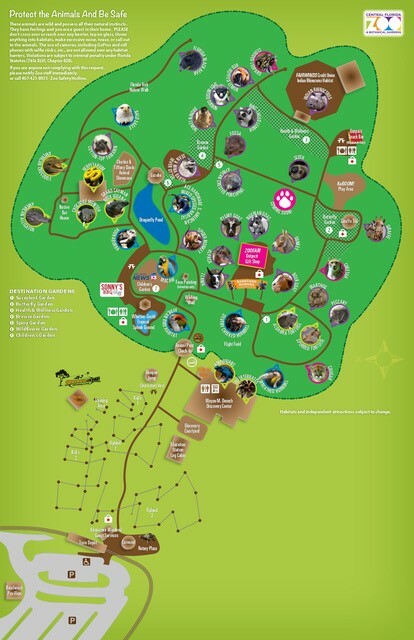 Other guests may pay regular admission and enjoy the Zoo. Plan, develop, and give leadership to others in a service project at the Zoo. In addition to providing service and fulfilling the part of the Scout Oath, “to help other people at all times,” one of the primary purposes of the Eagle Scout service project is to demonstrate leadership skills. Related to this are important lessons in project management and taking responsibility for a significant accomplishment.